Chocolate covered blueberries, with a rich coating of milk chocolate, are sweet and so good! Add a 4-oz. bag to any gift crate. Due to packaging sizes, these cannot be added to an order of Thunder Muffins alone, but can be added to any gift crate box. 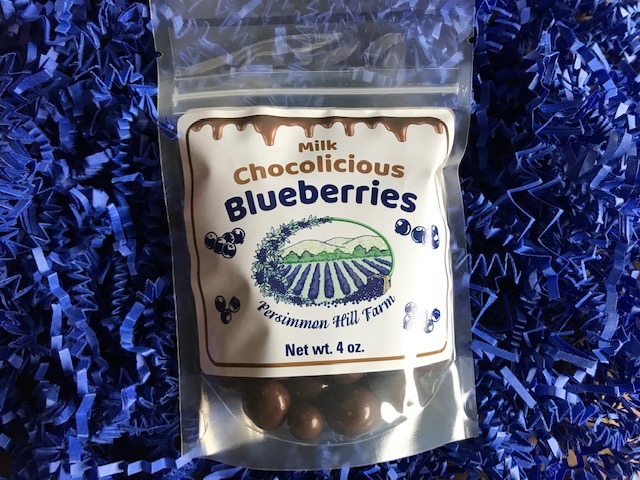 If you would like to order just the chocolate covered blueberries, go to the case listing. The minimum order is a case of 12.